AttributePro allows users to create complex, custom credit bureau attributes through a simple, easy to use graphical interface. 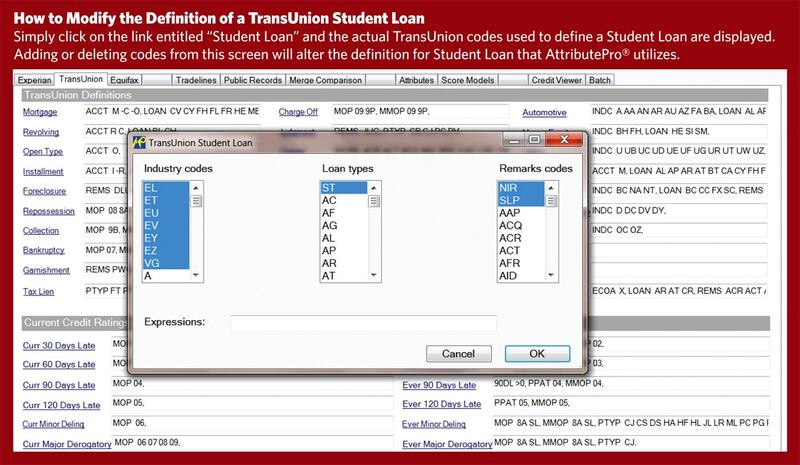 This enables anyone, even non-programmers to easily create credit attributes with a few clicks. Start using AttributePro and say goodbye to your testing and development costs! 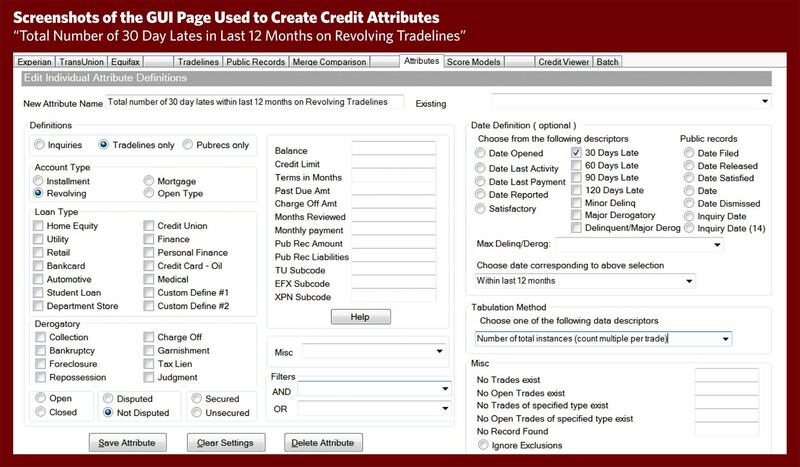 AttributePro works well with the MergePro merge engine, giving the user the flexibility to calculate new credit attributes from either merged or unmerged data. AttributePro can create attributes from any of the following: an existing MISMO XML credit report, a PDF credit report, an Equifax infile (versions 5.0, 6.0, Total View, XML and CMS), an Experian infile (versions 6 and 7) and a TransUnion infile (versions 4.0, 4.1 and XML). All output is in MISMO compliant XML. AttributePro is blindingly fast. 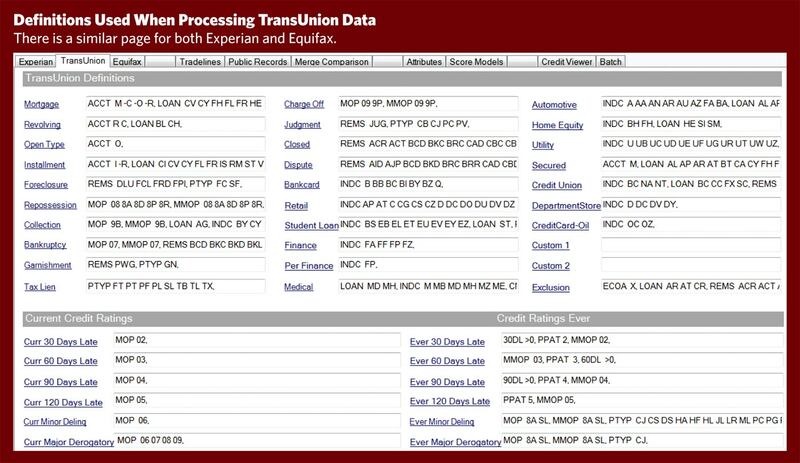 It is able to calculate over 500 credit attributes each second.